Looking for a foam lance for my Mac Allister Pressure Washer? But I have no idea if it would fit I've done a huge bit of Googling but still can't find a concrete answer what one is compatible! 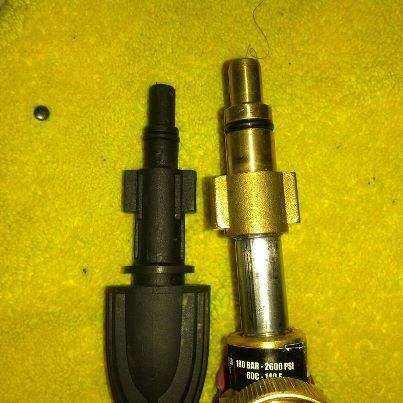 depends what end your washer has yours looks similar to a nilfisk connector ?? Anyone else had one of these? Plastic being mine and brass being the wrongly fitting Lavor connector.